We Can STOP or PREVENT Any Garnishments, Levies, Liens Or Audits. We Specialize In Reducing Or Eliminating Your IRS Or State Tax Debts. Our Top Tier Team Will Take Over Your Case And Start Taking Care Of Your Tax Matters. 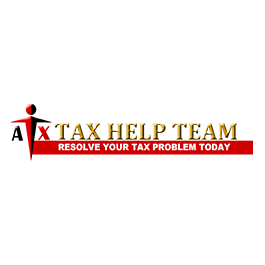 Over The Years, Tax Help Team Has Developed A Streamline Operation For Resolving Tax Problems. Mr. KC Choi Is Licensed By The IRS As An Enrolled Agent. Mr. Choi Is Not Your Typical Bookworm Accountant. Instead He Is A Highly Experienced Negotiator Due To His 29+ Years Of Background As A Financial Mediator And Adviser. Most Cases Require Skilled And Diligent Negotiation Which Is Why Mr. Choi's Experience Sets Him Aside From Most Of The Others In This Industry. In Addition, Mr. Choi Knows Many Of The Federal And State Taxing Auditors And Agents By Their First Name Basis And Often This Can Make Or Break Our Client’s Cases.